Boston University freshman winger Joel Farabee's natural hat trick gave Team USA a comfortable first period lead of 4-1 and the Americans never looked back as they shellacked Kazakhstan 8-2 in a preliminary round game in the World Junior Championships. 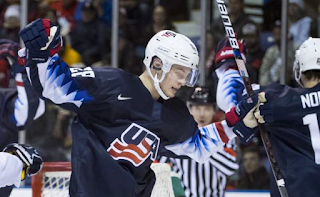 The following night Farabee capped off an unfathomable comeback from a 4-0 third period deficit to Sweden, by providing the primary assist on the game-tying goal with only seconds left in the third period. Unfortunately, the Cicero, NY native made an errant pass inside the Swedish blueline that led to an odd-man rush and a 5-4 overtime loss to the Swedes. Dante Fabbro scored two goals for Team Canada in a 6-2 victory over the Thomas Sabo Ice Tigers in the Spengler Cup. This club tournament is the oldest in the world and is being played in Davos, Switzerland. 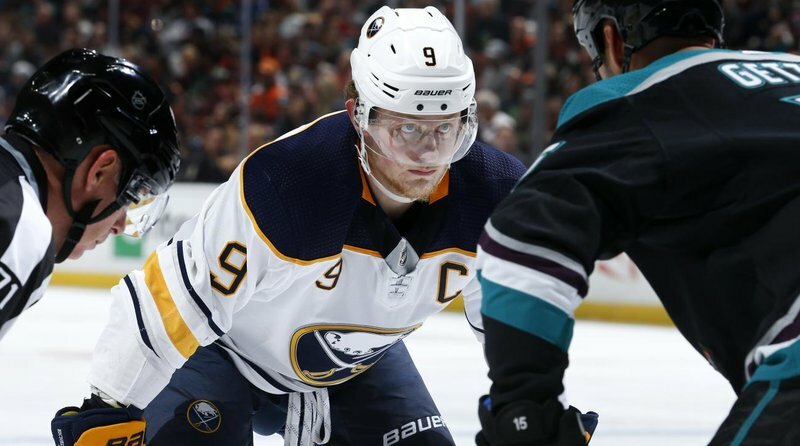 Former Terrier and Hobey Baker winner Jack Eichel, in his fourth NHL season, has led the Sabres on meteoric rise from cellar dwellers to having the seventh best record in the NHL. Enjoying a new eight-year, $80 million contract and taking pride in wearing a "C" as a 22 year old, Eichel's leadership has transformed the Sabres into a legitimate Stanley Cup contender and the city of Buffalo is now feeling like a great fit for him and his blue-collar work ethic. The Chelmsford, Massachusetts, native has a 15-34-49 scoring line in 39 games and Sports Illustrated has done a feature story on his success. Nick Bonino scored two power play goals (seventh and eighth of the season) on Saturday night. However his Predators lost to former Terrier Coach David Quinn's NY Rangers by a score of 4-3. Charlie Coyle's second period goal was his sixth of the season and proved to be the game-winner as the Wild defeated the Jets, 3-1. Matt Grzelcyk played his 100th career NHL game last night in Buffalo and provided the primary assist on an overtime goal that lead his Bruins to a 3-2 win against the Sabres. Former Terrier netminder Connor LaCouvee turned aside 22 shots and earned his first career AHL win with Laval on Friday night, as the Rocket defeated the Checkers by a 4-2 score. Looking ahead 2020 recruit Luke Tuch scored his seventh goal of the season on Saturday evening against Chicago, but his USA U-17 team fell to the Steel by a score of 6-3. 2022 recruit Lane Hutson's commitment to BU is still making news in Michigan.